TamerX offers a Complete Selection of Premium quality Factory Re-manufactured Diesel Injectors for the Caterpillar C7 and C9 Engine. Caterpillar started selling the C7 & C9 in 2003 and this production ran to the 2009 year model. Caterpillar designed the C7 & C9 to comply with the newer EPA requirements. The C7 & C9 Diesel engine was a perfect solution for many medium duty Truck and bus manufacturers. 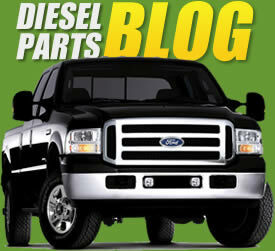 The Engine was an available option in Ford, Freightliner, and many other manufactures. The Engine was also well suited for the medium sized Very Popular Caterpillar construction Equipment. The C7 & C9 fuel system is called a HEUI System because of the use of high pressure engine motor oil to power the Fuel injectors. Their are about 65 different Caterpillar OEM part numbers for the C7 & C9 injector. These part numbers relate back to primary 7 Caterpillar re-man numbers 10R4761,10R4762,10R4763,10R7221,10R7222,10R7223,10R7224. The Difference between these part numbers is the engine Horse Power. Before ordering your Diesel injectors from TamerX Diesel be sure to acquire your injector part number.